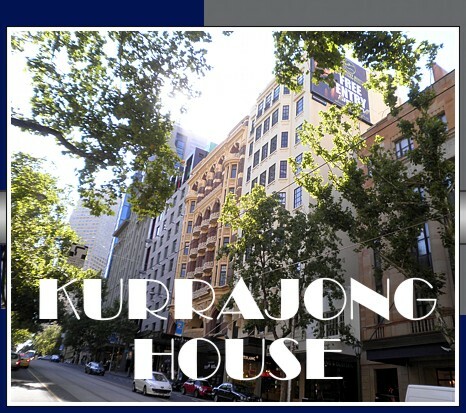 Kurrajong House forms part of a row of elegant shops and office buildings on a steep rise in Collins Street, east of Swanston Street. 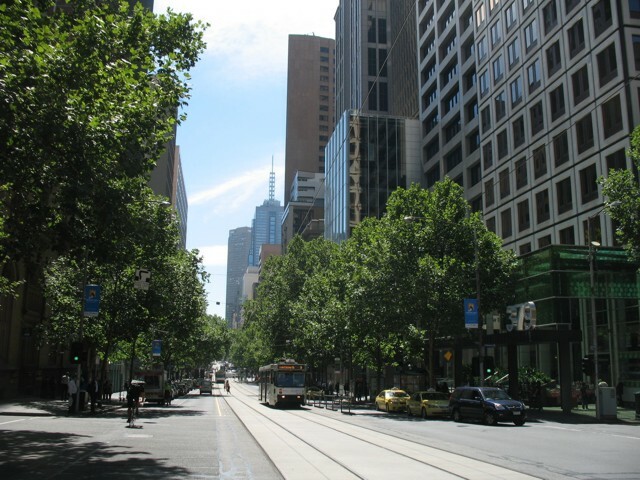 This part of Collins Street with its mature trees that create a canopy of vegetation over the thoroughfare and its gracious buildings, which include Kurrajong House, have contributed in giving this part of the street a distinct European flavour that Melburnians have come to refer to as the Paris End of Collins Street. 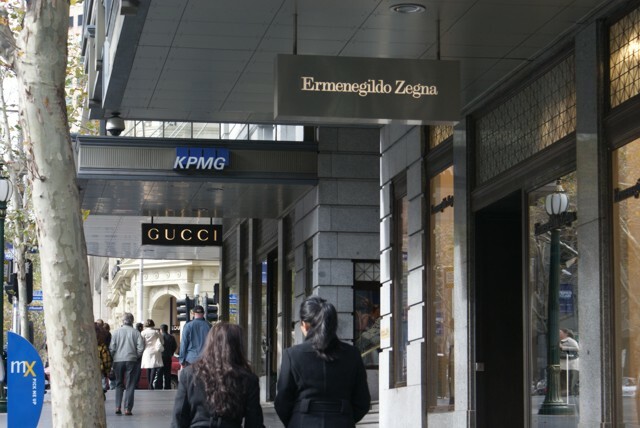 Collins Street is Melbourne’s best-known and most fashionable street. It is lined with some of the city’s most beautiful buildings, many of which house major cultural, social and commercial institutions. While the west end of Collins Street developed a distinctly commercial character with imposing office buildings of banks and insurance companies, east of Swanston Street it developed with a more eclectic, yet genteel, character. 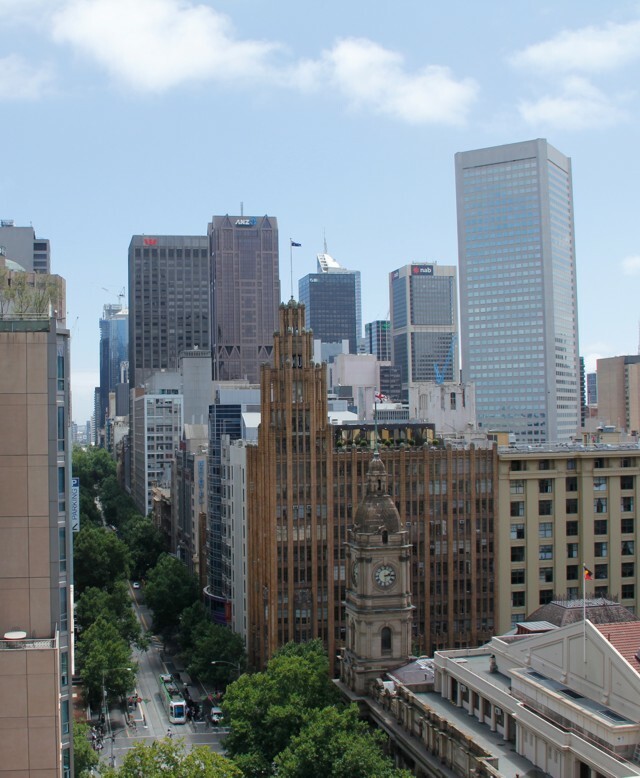 Housed in its many grand buildings are some of Melbourne’s most important institutions including churches and private clubs, and nestled amongst them are up-market retailers and the consulting rooms of doctors and dentists. Kurrajong House has itself housed many of these institutions, which have played a key role in the shaping of Melbourne’s cultural and social history. By the late nineteenth century, the block of Collins Street, between Swanston and Russell Streets, had three churches. The Collins Street Baptist Church and Scots Church survive today, but on land to the east of Kurrajong House, now the site of the Auditorium Building, was St Enoch’s Presbyterian Church. Built in 1850, it was designed by the architects James Blackburn (junior) and Arthur Newson. This finely detailed Gothic Revival bluestone church, with its tall spire above its entrance, was a landmark in Melbourne for many years. 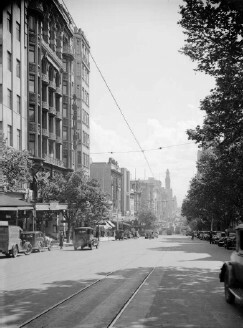 Collins Street c1930 looking west from Russell Street. Kurrajong House is partially visible at left (State Library of Victoria Picture Collection). Early photographs and drawings of St Enoch’s show to its west a modest three-storey building occupying what was to become the site of Kurrajong House. This building housed an auctioneer and estate agent. Another occupant of this building was a Walter Rose, who was a surgeon and dentist. To its west was a smaller two-storey building that also occupied the site of Kurrajong House. The surgeon and dentist, John Iliffe, occupied this building. 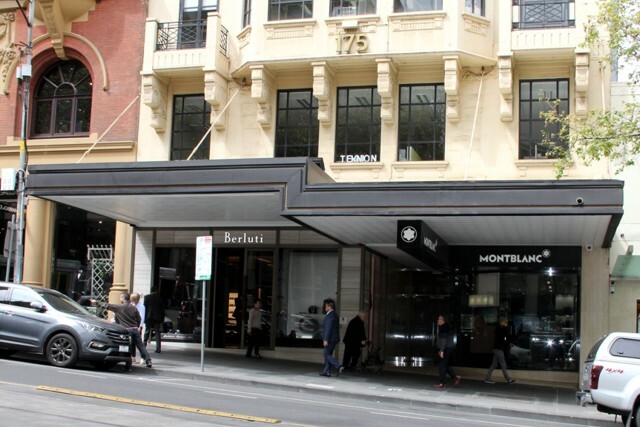 These buildings formed part of a larger group of commercial premises in this part of Collins Street that housed a variety of businesses including the offices of two of Melbourne’s daily newspapers The Herald and The Argus. 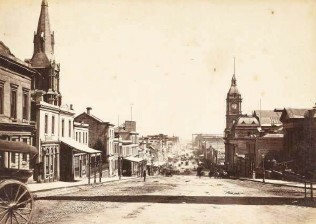 Collins Street looking west from the Russell Street corner in 1875. The spire of St Enoch’s is partially visible at left, and beyond the church are the buildings that formerly occupied the site of Kurrajong House (State Library of Victoria Picture Collection). 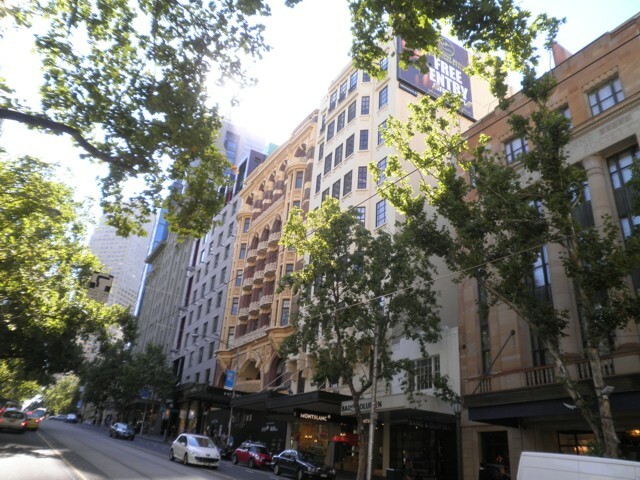 While the north side of Collins Street in this block retains much of its Victorian character, the south side of this part of Collins Street experienced tremendous development in the first few decades of the twentieth century. St Enoch’s Church was demolished in 1911 and on its site was built the Auditorium Building, which contained a concert hall on its ground floor and offices on its upper levels. Kurrajong House was part of a wave of development that occurred in the next decade, which also included the completion of the first stage of the T&G Building (1928) at the Russell Street corner and the Regent Theatre (1929). 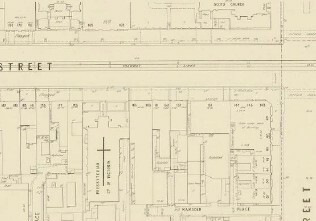 An MMBW plan of Collins Street of 1895 showing the buildings on the south side of the street, west of Russell Street. The footprints of the buildings that occupied the future site of Kurrajong house (No’s 173 and 175) are to the west of St Enoch’s Presbyterian Church, which is marked with a cross (State Library of Victoria Map Collection). Kurrajong House was built in 1926-27 for the concert, film and theatrical entrepreneurs, J & N Tait, who, for over seventy years, brought to Australia some of the best of the world’s musical and theatrical entertainment. Taits owned several city properties including the adjacent Auditorium Building. The Argus reported in March 1926 of Tait’s intention to construct Kurrajong House, which was to contain an arcade of shops on its ground floor and showrooms and offices on its upper levels. In June of that year Melbourne City Council granted a permit for the erection of the building, which is described in Council records as ‘shops and offices’ valued at 47,000 pounds. The architects of Kurrajong House, R M & M H King, had Adelaide origins, where Ray Maurice King began practicing as an architect in 1891. The following year he moved to Melbourne and over the next sixty years he and his son, Maurice Harrington King, who he went into partnership with in 1926, designed many industrial and residential buildings in Victoria. 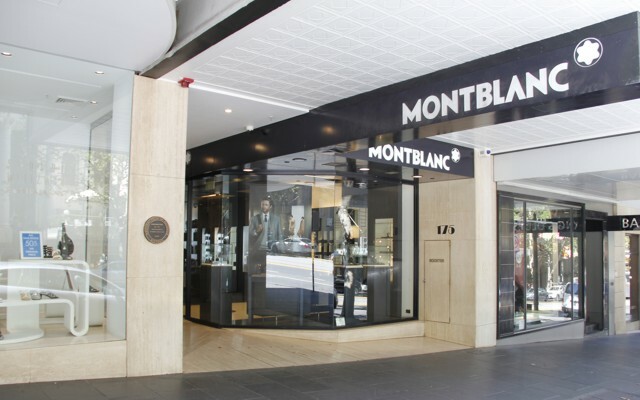 Maurice, who was trained as an engineer, is regarded as having transformed the fledgling practice established by his father into one of Melbourne’s most prolific architectural firms of the mid-twentieth century. Kurrajong House is one of the few buildings in central Melbourne designed by the Kings. 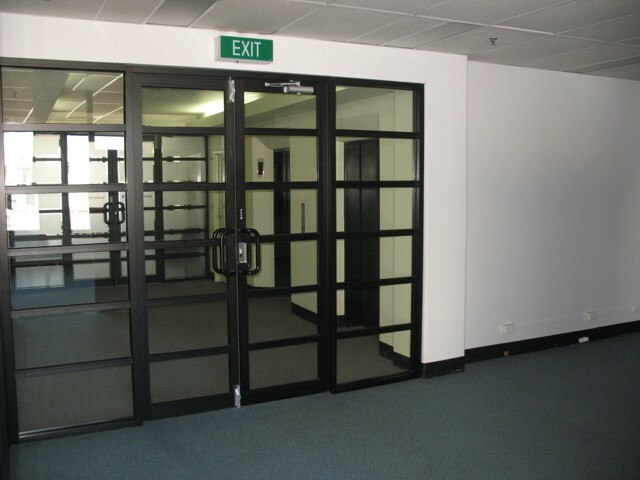 Other commercial work undertaken by the firm includes the showroom for the Colonial Gas Company at Box Hill and the Hopkins Odlum Apex Belting factory at Footscray. R M & M H King designed many houses in the Tudor Revival, Mediterranean and Bungalow styles that were popular in the 1920s and 30s, however their Moderne, or Art Deco, housing of the 1930s is regarded as some of the best examples of this style in Melbourne. Many of the firm’s clients were high profile Victorians including, in addition to the Taits, Arthur Rylah, lawyer and later Chief Secretary and Deputy Premier of Victoria; the Myttons and Beaurepaires. Other significant works include the Knox Presbyterian Church in Ivanhoe (1927), a small building at 125 Collins Street for the Rue de la Paix frock shop (1937) and Noble Park Presbyterian Church (1956). Ray King died in the early 1950s. Maurice King died prematurely in 1956 and the practice was closed shortly afterwards. 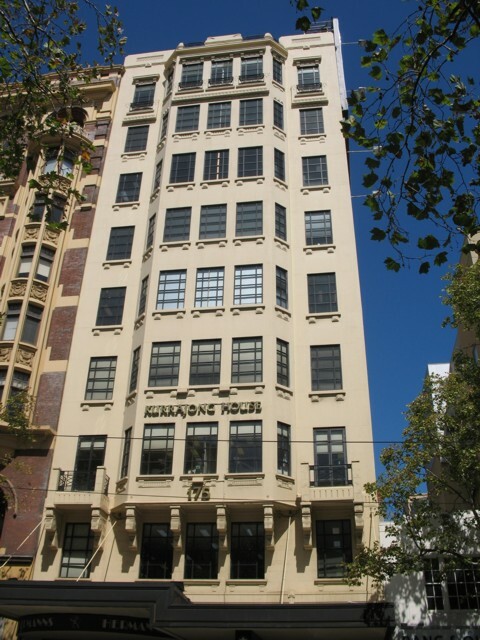 R M & M H King designed the nine-storey Kurrajong House in a Commercial Palazzo-style, which was popular for commercial buildings in Melbourne in the 1920s. The Commercial Palazzo-style is derived from Renaissance palace design, where the façade has three distinct elements: base and attic levels that are heavily ornamented, and intermediate floors faced with less decoration. A similar treatment has been applied to other buildings in this block including the adjacent Auditorium and T&G Buildings. All of these are built to the 132 feet height limit of that time: a statutory measure that was introduced to ensure buildings did not overshadow neighbouring streets and that fire ladders could reach upper levels in the event of a fire. The modest scale of these buildings, combined with their finely detailed decoration, tended to give them what has been termed ‘good manners’ in how they interact with street. The restrained use of decoration on Kurrajong House shows the emerging trend of stripping back decoration, which would reach its zenith in the 1930s with the introduction of Modernism to Melbourne. 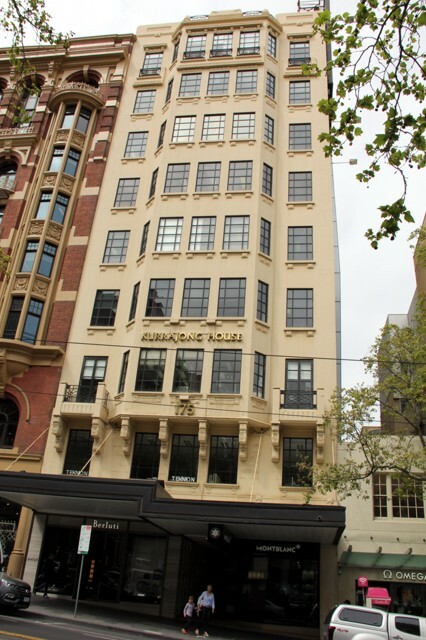 Despite the restrained use of ornamentation, Kurrajong House is a well proportioned and detailed building, with its central canted-bay windows on its upper levels a distinct and relatively unique feature on a Melbourne building. Kurrajong House’s stepped cantilevered verandah over Collins Street was not part of the original design, but was added as an afterthought during construction. The verandah was also designed by R M & M H King and further enhanced the appearance of the stylish ground floor shops of this building. 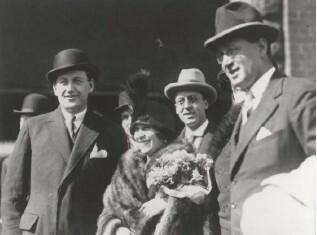 James Nevin Tait (left), with ballerina Anna Pavlova, one of the many artists that were brought to Australia by J & N Tait (National Library of Australia). The building is named after the Kurrajong tree (Brachychiton populneus), a native of eastern Australia, which grows along the coast and semi-arid land from northeast Victoria to Townsville. The trees are stout with glossy green foliage and white coloured flowers, with some varieties having pink or red flowers. The use of the name reflects the growing interest amongst Australians in their landscape in the early years of Federation, promoted by many architects and landscape architects of this period including Walter and Marion Mahony Griffin and Edna Walling. By mid 1927 Kurrajong House had been completed and space within the building was advertised in Melbourne’s daily newspapers as “suitable for medical and dental purposes”. The building was described as being modern with “excellent light and services”, and was part of the first generation of reinforced concrete and steel frame office buildings in Melbourne. Andrew Douglas was the contractor commissioned to erect Kurrajong House, in what was a flurry of building activity in the city in the mid to late 1920s. Douglas was also the contractor for buildings at Caulfield Racecourse around the same time. 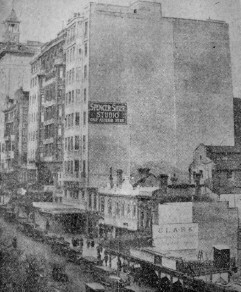 Kurrajong House (centre) featured with other buildings in this part of Collins Street in an Argus article of 1928 on the increasing heights of city buildings (State Library of Victoria Newspaper Collection). 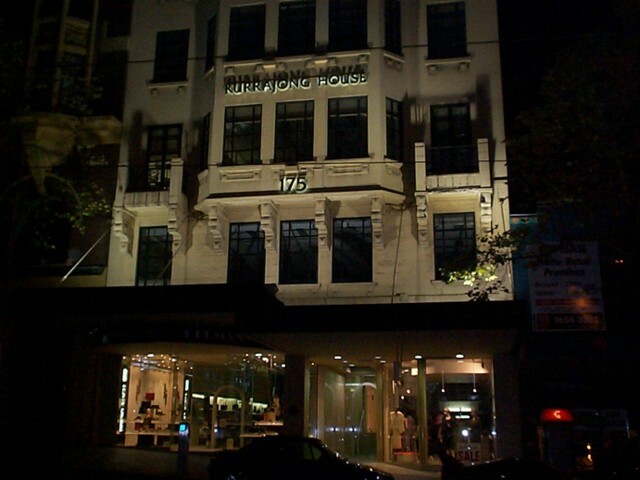 Kurrajong House contained a small shopping arcade on its ground floor, which led from Collins Street towards the lifts and stairs of the building. Two shops extended along the east side of the arcade and display cases lined its west wall. Another shop was built at the arcade entrance, with display windows that faced both Collins Street and the arcade. Two other shops faced Collins Street. A small flight of stairs at the rear of the arcade led to a door that led to Watson Place, a lane that extended from Flinders Lane. Over the years, Kurrajong House has had many tenants, involved in an array of activities, many associated with prominent individuals and organizations. 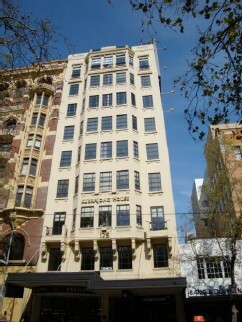 The International Club of Victoria tenanted the third floor of the building from 1935. The club was founded three years earlier to promote understanding of people from all nations and to assist in the assimilation of migrants. Its founder, Ivy Brooks, was the daughter of Prime Minister Alfred Deakin. Another founding member was Jadwiga de Tarczynska, wife of the violinist Stanislaw Victor de Tarczynska. Another club, the Women’s Service Club occupied the fifth floor of the building during World War II. The club was operated by a number of religious denominations and the YWCA, who provided meals to servicewomen. Radio station 3LO (now 774), which was partially owned by J & N Tait, briefly transmitted from studios in Kurrajong House. Australian Consolidated Press and its prestigious publication The Australian Women’s Weekly briefly tenanted Kurrajong House around 1940. 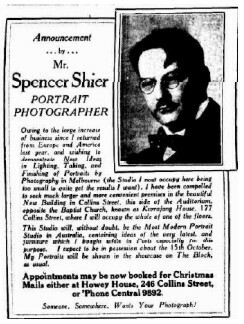 Portrait photographer Spencer Shier’s advertisement of 1927 of his new photographic studios in Kurrajong House (State Library of Victoria Newspaper Collection). For many years, even after Shier had vacated the building, painted advertising with the name of his photographic studio graced the blank west wall of Kurrajong House. But by the 1950s this signage was obscured by neighbouring buildings, and new signage was fitted to the top of this wall. A photograph of Collins Street from the late 1950s shows a large sign advertising motor spirit. Ownership of the building by J & N Tait may have attracted others within the entertainment industry to lease space in Kurrajong House. 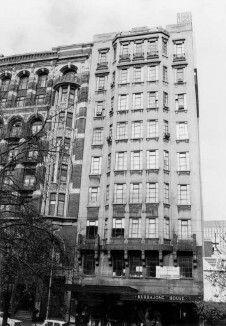 At least two talent schools occupied parts of the building: a dance studio on the top floor operated by a Mr Gill and on the third floor the Minnie Everett Theatrical School. Ms Everett had been a senior ballet instructor and producer for J C Williamson. Other early tenants included dentists, ladies tailors and milliners, and on the ground floor a milk bar called the Milky Way. In 1944, Kurrajong House was purchased by the Methodist Church, to house in one location its various offices and activities, which were previously spread throughout the city. The Methodist Church used spaces in the building as meeting rooms, tearooms and for its various social clubs. In the second half of the twentieth century works were undertaken that removed the shopfronts of the building and reconfigured interiors. Despite these alterations, Kurrajong House retains most of its early character. The memory of J & N Tait, the iconic concert, film and theatrical entrepreneurs, who contributed greatly to Australian performing arts, is reflected in the façade of Kurrajong House and the Auditorium Building, providing a tangible link to an earlier part of Australia’s cultural history. 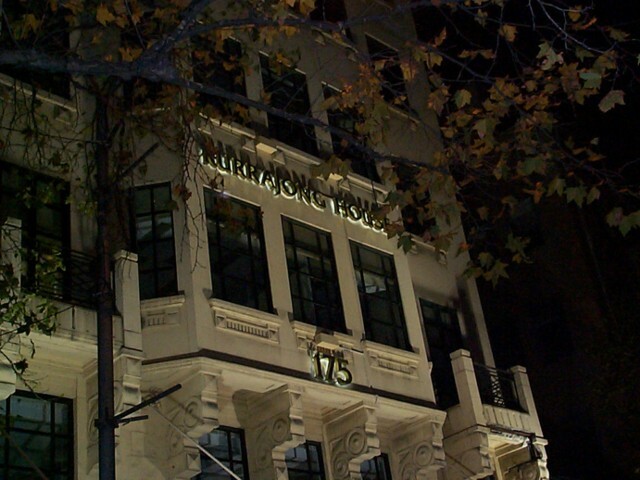 Kurrajong House, eighty years after its completion still maintains a commanding presence on the hill in Collins Street and contributes with other buildings in this block to the stylish European flavour of this part of the street, which is still known and greatly valued by Melburnians as the Paris End of Collins Street. 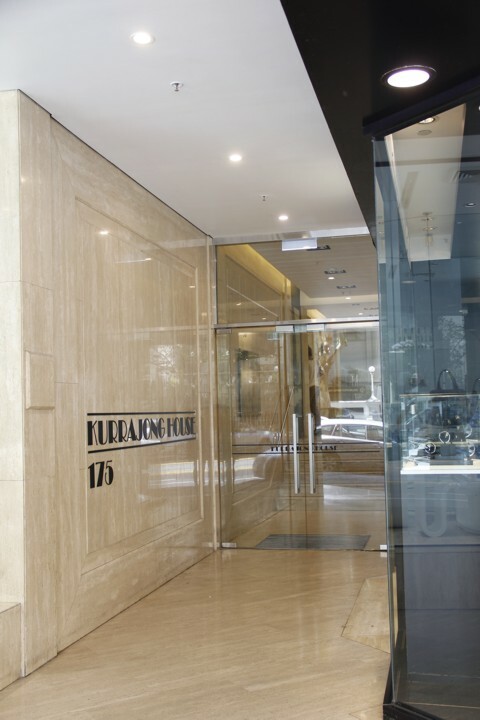 Henkell Brothers have managed Kurrajong House since 1993, which is part of a portfolio of heritage buildings owned and restored by the firm including the former Colonial Gas Company Building in Flinders Street, and the Queensland Building in William Street. The future of Kurrajong House is secure with its current owners Henkell Brothers, who are committed to preserving this historical building, which forms part of an elegant group of buildings on the Collins Street Hill. 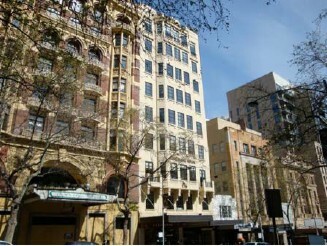 Kurrajong House (centre) and the Auditorium Building (left) still maintain a commanding presence in Collins Street. Copyright © 2006 - 2018 175 Collins Street .com.au. All Rights Reserved. All illustrations, stated dimensions and areas are approximate.